Susan Tiersma Glerum was born in Dobbs Ferry, New York in 1957 to Jerry L. Tiersma and Clare (Lyons) Hayes (formerly Tiersma) and moved with her family to Issaquah, Washington in 1967. She graduated from Issaquah High School, where she was involved in music and played flute in the pit orchestra for musical productions. 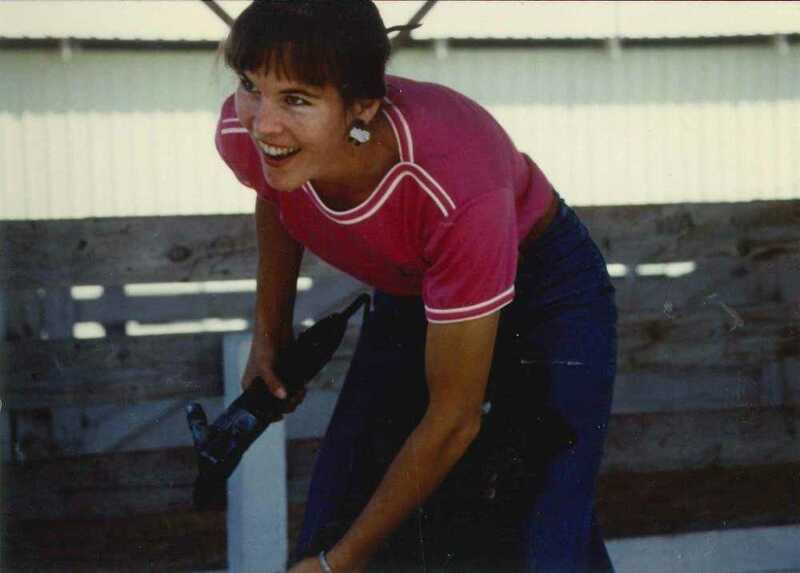 She attended Washington State University, earning a BS in Animal Science in 1979. She then took a job as a dairy manager in Bruneau, Idaho, where she met her husband, Rolf Glerum. Sue and Rolf married in 1981 and began a life together filled with the rhythms and purpose of the farming life they loved. Shortly after marrying, Sue tried her hand at raising sheep, beginning with two orphan lambs. She enjoyed them and soon started a small breeding herd. When her sheep needed shearing, she learned to do it herself. Before long, Sue had a growing shearing business as well, eventually shearing 4,000 sheep each year in the Inter-Mountain West. She learned wool-crafting techniques, including spinning yarn, weaving textiles, and crafting saddle blankets using the Australian locker hooking technique. Her wool rugs and horse blankets are prized for their beauty and comfort. Sue became active in the Idaho Wool Growers Association and served on its promotional committee, in conjunction with the University of Idaho’s Caine Veterinary Teaching Center in Caldwell. When Sue and Rolf left Idaho for Nebraska in 1999 to start ranching on their own, she brought her flock and shears, and established a new business based in Brewster. There she found a warm and friendly community, where neighbors came together for branding parties, sharing chores and assisting each other whenever needed. Sue had a deep faith and found her spiritual home in the Ainsworth Evangelical Free Church. She was an active member, serving in numerous roles over the years, most recently leading the prayer team. Sue passed away at her home on March 1, 2019 at the age of 61 after living vivaciously for eight years with pancreatic cancer. She is survived by her husband Rolf, father Jerry Tiersma, and siblings Ann Cox (George), Mike Tiersma (Julie), and Dan Tiersma (Carrie) and their families. In lieu of flowers please consider donating to the Ainsworth Food Pantry c/o the Evangelical Free Church at PO Box 384, Ainsworth, NE, 69210.